How Many Wedding Photographers Do You Really Need? The team approach, with all three shooters trained in the same style and given specific, designated roles, allows us to document every part of the day and provide a final set of imagery that exceeds the expectations of even our most demanding clients. While the industry standard is to have two qualified photographers, we believe in a three angle, three photographer approach. But is three too many? Why do you need three photographers? What exactly is each one doing throughout the day? Could you imagine your favorite movie with one single camera angle? The need for multiple angles applies to weddings as well. There are multiple important angles to capture, and a cohesive team will allow every important moment, every important expression, to be captured. Weddings move quickly, as do sunsets. Whenever there is a moment, having multiple photographers working together to capture images with different styles of lighting, different crops, or different angles can double or even triple the number of great images you receive from those fleeting moments. Having multiple photographers made these amazing pictures above possible. Our photographers were able to capture this moment from different angles and all with different lighting. With the help of multiple photographers, you’ll receive a larger selection of photos from your wedding day. A bride walking down the aisle as her groom anticipates her arrival is one of many emotional moments to occur during a wedding. However, capturing the groom’s emotion, bride’s emotion, family’s emotion, and that beautiful train of her dress isn’t easy with just one photographer. 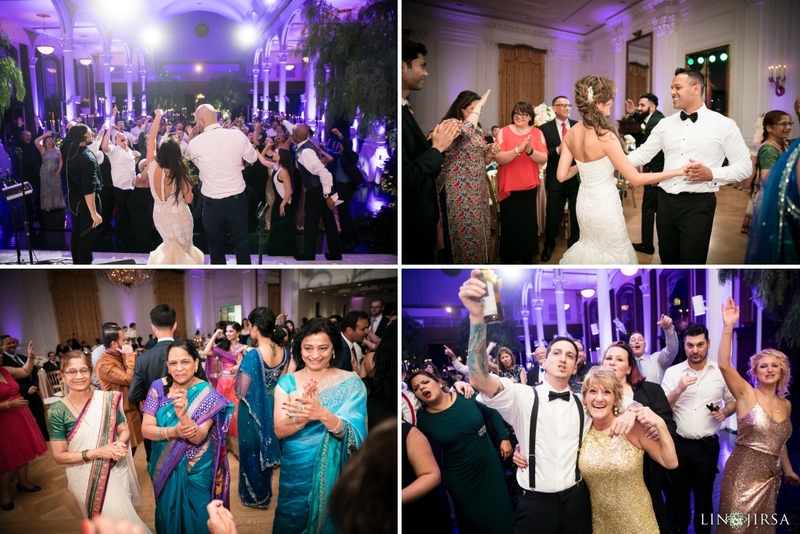 In the photos above you can see how our team documented many angles of this special moment. There are a lot of special moments happening at once, wedding preparation takes place simultaneously and in different locations. With three photographers, each of those special moments will be captured. During wedding preparation, we think it’s best for the lead photographer to stay with the bride and for the second shooter to focus on the groom. We love documenting the couple and their closest friends and family during this intimate moment. At most weddings there simply isn’t time for one photographer to cover both. During a first look, multiple photographers are beneficial because this isn’t just a one shot, one angle moment. In the photos below, you can see the same moment being photographed at different angles showcasing both the bride and groom’s reactions. It is difficult to capture the anticipation and emotion of both the bride and groom with just one photographer shooting. If there is only one photographer, he or she has to stick to capturing standard, safe images. However, with three reliable photographers, 2 of the 3 can take risks, shoot through objects, and find unique angles. In the photos above, you can see one of our couples under their Mandap. With three photographers, we were able to capture different angles of not only the couple but the details of the Mandap as well. Having multiple shooters minimizes the risk in multiple ways. The risk of missing a moment because of an unexpected event, like a guest jumping into the aisle with their camera during a first kiss. It also minimizes the risk of missing entire moments due to memory card failure or other equipment issues. It is beneficial to have back up because if something were to happen (car troubles, traffic, illness, last minute change of plans, etc.) there are other shooters to fill his or her place. The final reason is an obvious one. More shooters get you more coverage. A two to three person photography team is crucial especially with multi-ceremony weddings like Indian Weddings, Chinese Weddings, and Persian Weddings just to name a few. Your wedding day breezes by and we want to document every last detail for timeless memories. The unplanned, impromptu moments at a wedding often make the best memories. Having multiple photographers covering different things, all anticipating expressions, and image-worthy moments increases the number of moments captured throughout your once-in-a-lifetime day. Who Are Our Second and Third Shooters? Our second and third shooters are some of the best wedding photographers in the area. After being selected from the hundreds of applicants, all of our photographers, regardless of their skill level and experience, go through the same comprehensive process. They start with lighting assisting on engagement sessions, move to lighting on weddings, and then 3rd shooter. Eventually, after extensive training, feedback, and milestones passed, they become a 2nd shooter. This process ensures consistency in style, quality, and reliability. Moreover, it ensures that each shooter has the same approach on the wedding day and minimizes potential issues that might arise from unfamiliarity or miscommunication. We hope this has been useful in giving you some insight into how we approach a wedding day. We’d love to hear your thoughts in the comments below. Be sure to check out all our latest weddings on our blog! Please contact us if you’re interested in hiring us for your wedding! We would love to be a part of your special day. Contact us here.